Abu Dhabi: Voting for Egypt’s new parliament, the country’s first in over three years since the overthrow of Islamist president Mohammad Mursi, commenced on Saturday for Egyptians residing abroad and witnessed a moderate turnout at the Egyptian Embassy in Abu Dhabi and the Egyptian Consulate-General in Dubai. 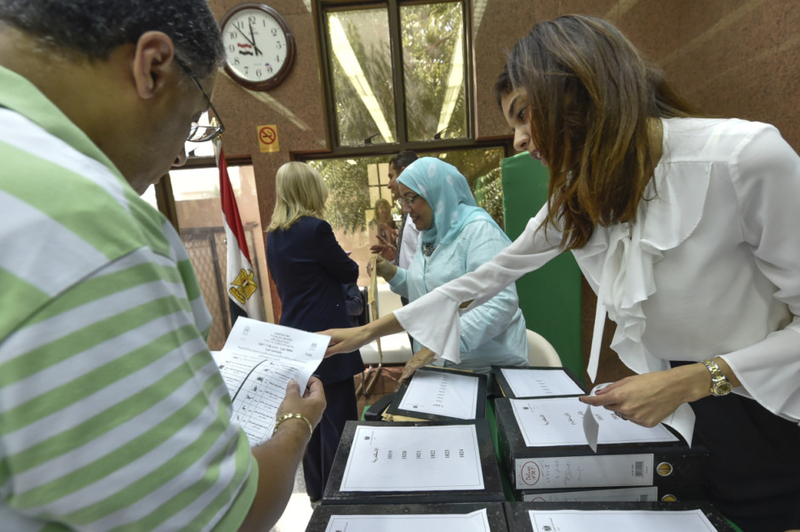 Egyptians living abroad began casting their ballots on Saturday as part of a process scheduled to take place over two consecutive days. Voters in 14 of Egypt’s 27 governorates will cast their votes on Sunday and Monday. Sharif Al Badawi, the Consul-General of Egypt to Dubai, told Gulf News: “We urge all Egyptians to pursue their right of voting. This is a chance for all of them to have a stake in their country’s evolution. It also enables Egyptians to feel that their country is one that is democratic and one that welcomes their voices and concerns. A steady stream of Egyptians expatriates cast their ballots with a vision of building a “brighter” Egypt in an election that is being billed as a major democratic turning point for the country. “Egypt has come a long way and we’ve achieved so much in such a short period of time. Voting for the parliament is fundamental and will take us a step closer to building a ‘brighter’ Egypt,” Yasser Aziz, an engineer from the Fayoum governorate told Gulf News as he was casting his ballot. “What do I want the parliament to achieve? First and foremost, I aspire to one day witness a safe and secure Egypt. We’ve lived here in the UAE for quite some time, a country that has given us a wealth of opportunities, from jobs to safety. I only hope that Egypt will one day become similar to the UAE in that sense,” he explained. With many dressed in the red, black and white colours of the Egyptian flag and several others carrying banners of their favourite candidates, a sense of patriotic zeal seemed to have inspired a number of Egyptian residents. 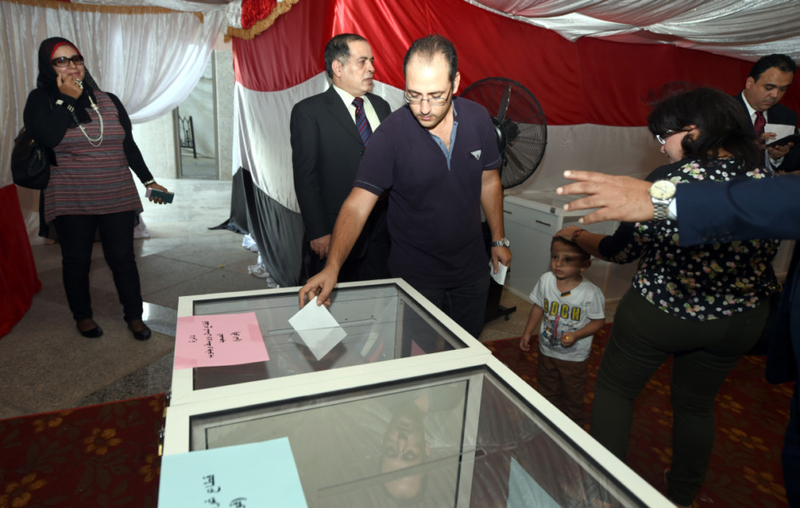 Accompanied by her two sons, who were dressed in white shirts with an embroidered Egyptian flag positioned in the centre, Amal Abdul Wahab from Alexandria said that every single vote counts. Mustafa Rekaby, an Egyptian resident from Alexandria who owns a consultancy firm in the capital, also made his way to the Egyptian Embassy with his family to exercise their democratic right. Meanwhile, Engineer Ashraf Abdul Aziz from Giza, said that he had voted for someone who he believed could represent him and his country. Egypt’s parliament — the House of Representatives — ‎will feature 596 members, of whom 448 will be elected as independents and 120 from party-based lists. President Abdul Fattah Al Sisi will appoint the remaining 28 members. The first stage of elections will see voting for a total of 286 seats, 226 of those seats for independent candidates and 60 for party-based lists. The second stage from November 21-22 will enable voters from the remaining 13 governorates to cast their ballots. — Maisoon Mubarak is a trainee at Gulf News.